Drones have become a huge hit these days. These small and yet powerful flying machines are often used to capture photos and videos from angles that have never been caught before. But, just like owning any type of electronic equipment, owning a drone takes a lot of investment: upfront money for the equipment, research on how to use as well as on the flying regulations and many others. Most drones also need to be assembled before they can be used, although there are also some models that are ready to fly (RTF). It is important that you take note of these important items before you go and spend your hard-earned money on these gadgets. It is a huge investment and you must be willing to put your full commitment to it if you want to maximize its use. This means that you need to spend a lot of time to learn how to use the remote control and you may also have to spend money on fixing parts that get broken during the hard landings. Now, with so many drones available in the market, which ones should you choose? Below are Walkera QR X350 drone reviews that will help you get started in your drone flying journey. These are among the best drones in the market for those looking for features in higher end models offered at a more affordable price. The hottest from Walkera presents the newest Walkera QR x350 pro for aerial image and video photography platform. The market for this Quadcopter has been rising since its introduction. This article will provide you with comprehensive and helpful information about Walkera x350 Quadcopter, its unique features and much more. If you are looking for a good quadcopter GPS that competes well with similar higher-end brands, you can check out the Walkera QR X350 Pro. This powerful flying machine is a good introduction to those who want to give quadcopter flying a try. It flies quite easily and is, in fact, able to hover and stay in position even during windy days. Additionally, its return home is quite accurate; you certainly don’t have to worry about picking up your drone a few miles from where you are. The Walkera QR x350 pro model has a fat shark compatible for first person viewing flying with FPV QR X350 PRO that comes with fat shark first person view glasses. Walkera QR x350 pro also boasts its full support Gopro well combined with DEVO F7 bringing real first aerial photography enjoyment. 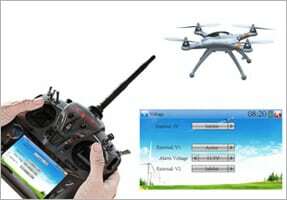 The Walkera 350 pro not only can change settings through software using APM flight planner. You can also set waypoints, and have the Pro fly all by itself. This proves that there are lots of things to do with the APM Software. Another thing to love about this quadcopter is that it comes with a rather solid body. It can easily take even hard and bumpy landings because of its solid construction although we suggest that you take a look at the inner workings of this drone as its wirings may need to be soldered to further reinforce it. Otherwise, there isn’t much of a problem in the way this machine is being constructed. You might want to keep in mind though that this is not an RTF quadcopter. RTF means ready to fly which means that you will have to learn how to assemble and solve the puzzle pieces together after taking it out from the box. 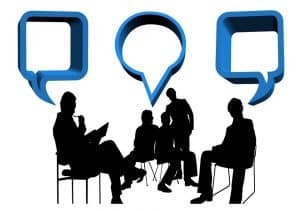 It is pretty easy to setup, however, and should take about 15 to 20 minutes even if you do not have a lot of experience in electronics. Be sure to keep the instruction manual near you or you might also want to check out YouTube videos to get some help. As soon as you have put everything together, you can easily setup, calibrate and maintain this QR X350 drone. Now, we really recommend this highly for the entry level RC pilots or the entry level quadcopter pilots as the Walkera QR X350 can fly really fast. This can be a good thing for the experienced fliers, as it zips by really fast that it will blow you away. It is also very responsive and won’t give you a headache. This drone comes with a very clear camera and takes photos and videos quite well. Its FPV (first person view) system is superb and you can watch it live via the small Devo 7 screen. The range of the iLook camera, however, is only up to 1000 feet and no longer looks very good beyond it. You can always trade both camera and monitor if you want sharper videos and pictures and a bigger monitor to view it live. Perhaps the biggest drawback to using this quadcopter RTF is that it takes a lot of time to charge. Initially, you will have to charge the plane and transmitter for around 14 hours. On subsequent use, it will take around six hours to charge the stock battery that comes with the drone. We suggest you look into rapid chargers to help lessen the charging time. It also has a very steep learning curve. One wrong flick of the switch in your DEVO controller and it could send your Walkera QR X350 Pro crashing down into the ground. However, many owners have attested that owning and mastering the Walkera is a lot more gratifying than doing the same thing on a DJI Phantom 2 Vision drone. Walkera Pro has ditched the jumpy and unstable GPS mode that comes with the previous 350 model of Walkera. RTH also proves to be more accurate with Walkera pro. However, the manual mode of Walkera pro flies much faster compared to the GPS mode. Install the gimble and connect the tilt motor control wire. Connect the G-2D power port with its end connected to the iLook Camera Power Port. Next step would be turning the radio and connecting the aircraft power. The image should be received successfully to the screen at this point. Adjust the G-2D controller V1 button into a tilt route. We recommend adjusting the V1 output to the maximum. Use the AUX channel to check whether the gimble is workable or not. You can now turn on the radio and connect aircraft power. If the code binding is successful, left green LED indicator should light. If the GPS signal has received successfully, the green indicator at the right should flash. You can now enter to compass calibration. When the left green indicator flashes quickly, calibration is finished. Remember to reset after each calibration. Unlock motor before the flight. Mix in “1” position and throttle in the central position to hold the GPS position. 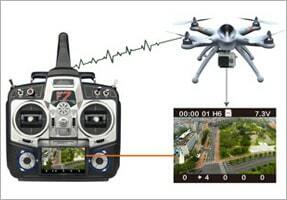 In GPS mode, you can control the Quadcopter and leave the throttle stick in the center can hold GPS altitude function. Walkera proved to be superior in its aerial performance. Get your newest Walkera QR x350 pro today! It was in 2013 when Walkera released to the market their QR X350 drone, a feature rich quadcopter that was available in a much affordable price compared to other similar drones. The company has done it again by releasing the pro version, where they improve on nearly every feature that they have shown in the previous model. How does this drone differ from its previous models or from the one mentioned above? First of all, this is the Walkera QR X350 RTF. As previously mentioned, RTF means that is ready to fly and that no assembly is required from its user. You just order it, wait for it to arrive at your doorstep, take it out from the box and you can fly it right away. However, it is very important to note that this Walkera QR X350 drone is not something that is recommended for beginners, entry level fliers or those who have no experience or knowledge in RCs. Looking through the instruction manual can be a very daunting task and you will probably just end up wrecking your drone from countless trial and error. 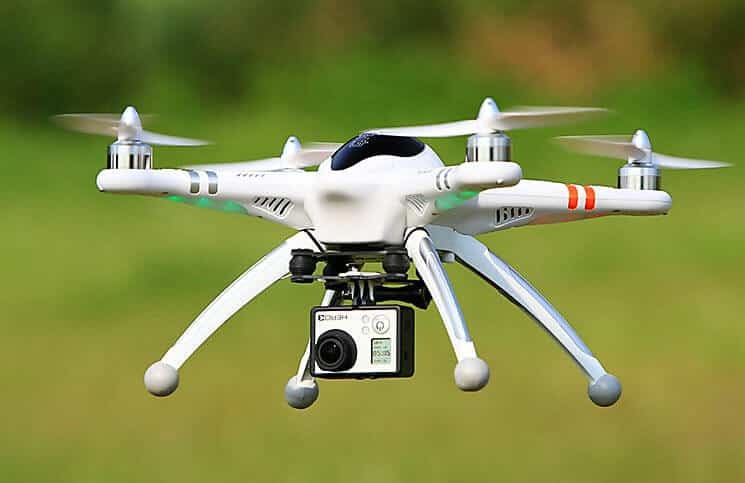 You will still have to adjust its calibration settings and this can be a little difficult especially if you have had no previous experience in drones. It comes with a more expansive battery compartment, even better than the DJI Phantom and can now fly for more than 25 minutes with the help of its 3s 5200mAh 11.1v LiPO battery. It comes with improved stability as well as GPS position holding, mostly because of the upgrade that its flight controller has undergone. Another great improvement that this quadcopter GPS is in its altitude sensor. This one uses GPS technology allowing it to go on a locked-in hover mode with stabilized position. This RTF quadcopter is plug and play compatible with the G-2D brushless gimbal although this is not included in the package. You can also use this drone with your GoPro Hero 3 or GoPro Hero 4 camera or other HD personal cameras. Other important improvements in this drone are the compass sensor, low voltage detection, brushless power and many others. You can also use this with ardupilot, MAV link and open source mission planning software so that you can go on a waypoint driven flying mode. This one allows you to drive on a semi autonomous mode. This quad can also easily return home to its take-off position with the flick of a switch or when there is loss in signal. Users should also remember that this drone does not come with a camera. You will have to install a camera in it, such as the GoPro Hero camera, to take pictures and videos. If you want to see an image from the remote control or would like to go FPV (first person view) flying mode, you can also try using the DEVO F7 or DEVO F12E transmitter. The Fat Shark First Person View glasses or the Walkera FPV glasses are also great additions to your new flying toy. The Walkera QR X350 Pro drones were released to the market to compete well with the DJI Phantom 2 Vision drone although they still have quite a huge gap in between. Just be careful in making your purchase because you could be getting the older Walkera QR X350 versions, which are way behind these pro versions when it comes to the features. There have been a lot of improvements from its features to its structure and durability. Previously, the QR X350 drones have very poor soldering work inside its body but its current Pro versions have shown a lot of significant improvements. Even its body is more solid and it comes with longer legs making it more durable even during bumpy and rough landings. Another thing to remember is that while the RTF model is truly read to fly, it isn’t quite so especially if you are a non-experienced flier. There are a lot of things to learn before you can fully master controlling both of these drones. The Phantom was designed to have an easier and less intimidating learning curve of all drones in the market. These quadcopters from Walkera, on the other hand, have a much steeper learning curve but it also means that they are more customizable and configurable than the Vision drone. Plus it also comes with a much affordable price tag despite having about the same rich features. It is up to you to decide which quad’s inner workings you want to fully understand and master. A serious flaw we did notice for both Walkera QR X350 quadcopters is that they come with a low voltage cutoff feature. This was originally included by Walkera to help protect both battery and plane from damage. Although this is a great feature for RC planes, it isn’t quite so for quadcopters. When the LVC is enabled, power to the steering servos and the propellers are cut off immediately. 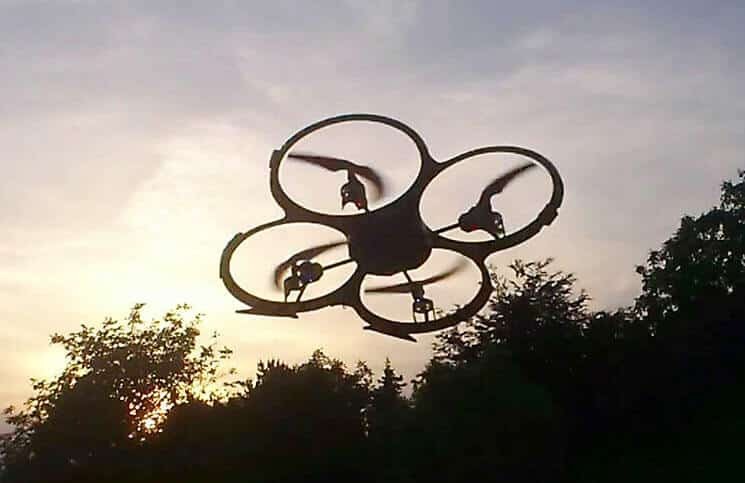 In quadcopters, the propellers are used both for propulsion and steering which means that if the voltage of the battery drops to 10.75V or even less, Walkera drone users will immediately see their QR X350 drones plummeting towards the ground. To do away with this, you will have to disable the LVC feature but it also means that you need to install a voltage checker to get live readings on your battery’s voltage. Too much discharge in your battery can cause serious damage. There are already a lot of tutorials in the Internet – but remember that these should be done at your own risk; you could bring damage to your quad if you are not careful! Let’s try to compare Walkera pro to its best competitor, DJI Phantom. Seeing the DJI Phantom VS Walkera QR x350 pro in a quad flight mode action would best help us in evaluating its performance and features. Configuration of the Walkera Pro proved to be easier, more efficient with simple key configuration. Walkera QR x350 pro can be programmed with up to 6 flight modes and costs half the price of the DJI Phantom. Another interesting model of Walkera is the new Walkera QR X800 V2, just about the same price of x350 pro but has the capacity to carry much heavier load and fly much longer distances. We have seen the performance of DJI phantom and during flight mode, and it appears that it is not synced properly to satellites and it needs to move into small circles to acquire more sets. In a less windy environment, Walkera flies much superior than DJI Phantom. 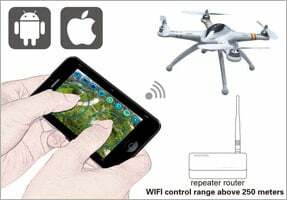 Adopt WiFi module, can easily use mobile phone to control quadcopter and to get or the live video. Adopt the router to get longer distance (router is optional). Transmit live video to transmitter LCD display by Walkera Standard Camera module. Also be compatible with GoPro camera and transmit the live video to Radio LCD display. Adopt Telemetry module to inspect the battery voltage in real time, to make sure safe return the quadcopter. We highly recommend the Walkera QR X350 drone for those who are looking for great features in their quad but with a less expensive price tag. If you have had no previous experience with RCs or quads, you will be in for some serious learning – or you could be better off with a quad that is easier to learn such as the Vision. Just remember that whatever brand or type of quad you will invest in, it will require a lot of research and investment on your part if you want it to work to its maximum potential. You may have to deal with a few minor (and major) fixes or you might have to ditch your quad all together is it can no longer be redeemed. We hope that these reviews of Walkera QR X350 drones have helped you make a better choice in your quad shopping. Have a fun time and don’t forget to check any rules and regulations about flying a quad in your area! i got my drone a month ago and for some reason now when i turn on the radio it tells me” warning throttle stick and when i push on the throttle it now became to move the gimball up and down what do i do to reverse it back to normal ! !